Until now, investors looking for safe-haven assets used to turn to gold or Treasuries. Not anymore. A Singapore-based exchange began trading Tuesday a new standardized diamond product that aims to become one of the most-sought shelters from global risks. Diamond Bullion is a credit card-sized package of diamonds sourced at wholesale prices on the Singapore Diamond Investment Exchange. Launched by the Singapore Diamond Investment Exchange (SDiX), the new product is designed to store and display investment-grade polished gems sourced at wholesale prices on SDiX and issued in standard denominations of about $100,000 and $200,000 each. Each Diamond Bullion card contains a chip that allows immediate valuation based on exchange trading and instant authentication, which is crucial as synthetic diamonds have no resale value. They also have a mark, developed by the International Institute of Diamond Grading and Research (IIDGR), which is part of Anglo American’s De Beers Group, to further ensure their authenticity. Not only investors will be able to trade their diamond bullions globally, but they’ll also get real-time pricing data via the SDiX website or the SDM mobile app. 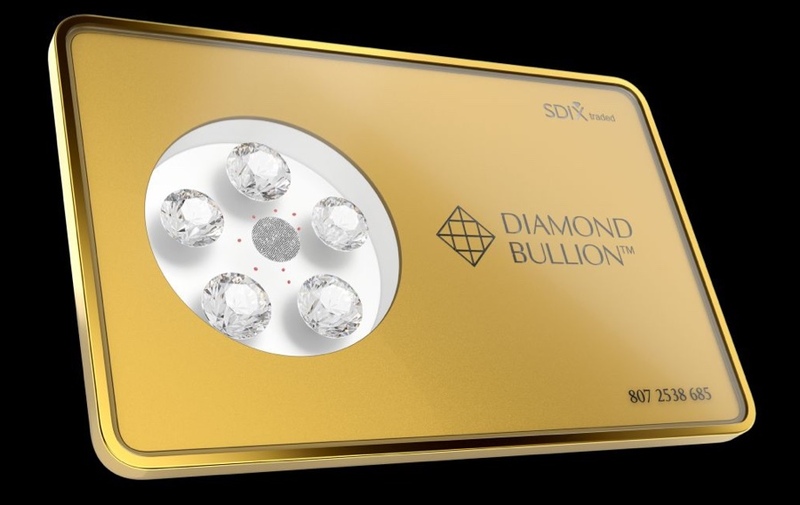 As Singapore Diamond Mint Company chairman Francis Yeoh put it, Diamond Bullion is designed to be the 'Gold Bullion’ for diamonds, “an investment that can be passed on to future generations for years to come."